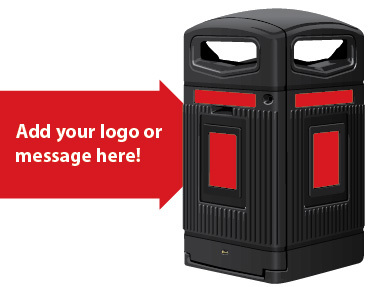 The Glasdon Jubilee™ 240 is a large capacity wheelie bin housing which provides secure cover for a 240 litre wheelie bin or up to 300 litre sack. 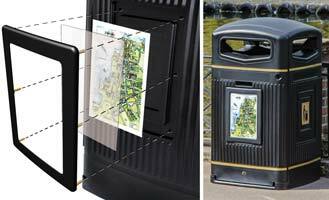 With four long and wide apertures, this general waste model provides a versatile solution for on-street recycling and schemes in parks and public spaces. 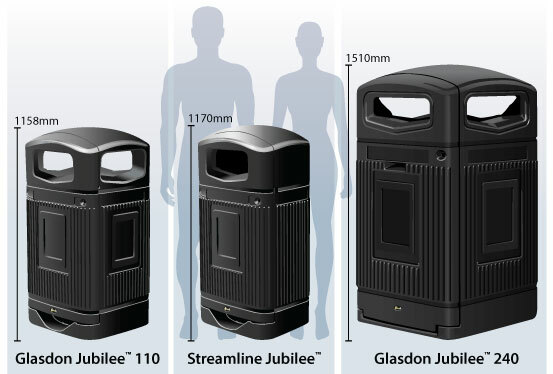 The Glasdon Jubilee™ 240 litre wheelie bin housing joins the Glasdon Jubilee™ range of classically designed litter and recycling bins which includes the Glasdon Jubilee™ 110 and the Streamline Jubilee™ models. Houses a standard 240 litre wheelie bin or 300 litre sack (with sack retention system), to collect more waste and reduce frequency of waste collections. 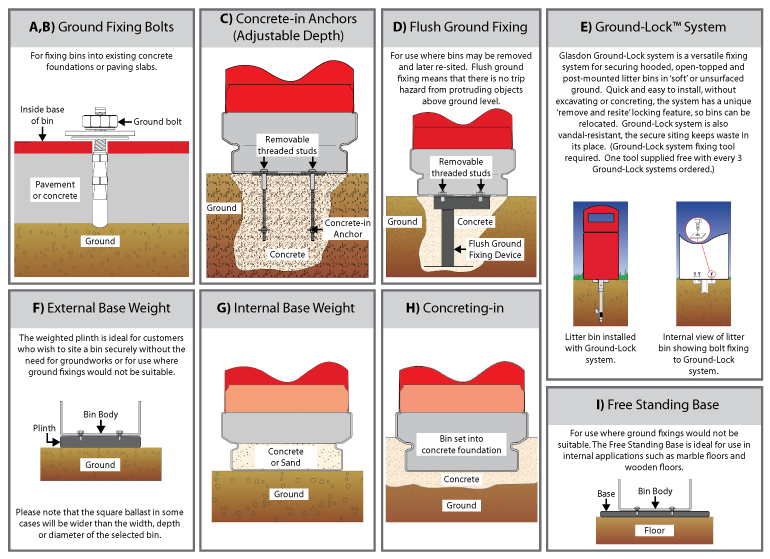 Mechanical emptying reduces manual handling issues. 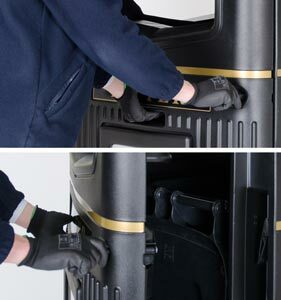 New larger recessed lifting handle for gloved hands ensures safer opening with efficient slam shut action to close the door. 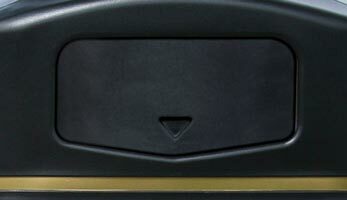 along with four apertures makes it attractive and easy to use for the general public. 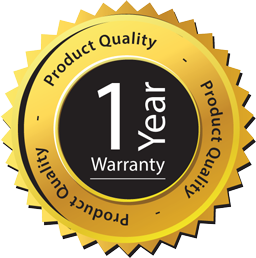 Manufactured from recyclable Durapol™ polymer for long service life. 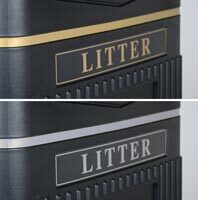 Durapol™ will not chip or rust, is easy to clean and the unique ribbed design deters flyposting. Unique 3 point interlocking system ensures wheelie bin is secure. 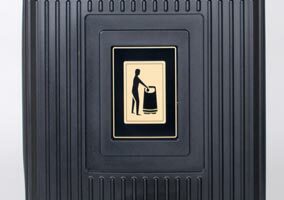 Glasdon Jubilee™ 240 joins the Glasdon Jubilee™ litter and recycling bin range. We design with personalisation in mind, providing you with the flexibility to add your corporate logo or message onto the areas highlighted opposite. A3 poster kits are also available with this product offering you the option to change campaign messages more frequently. Why not add a map or transport information?